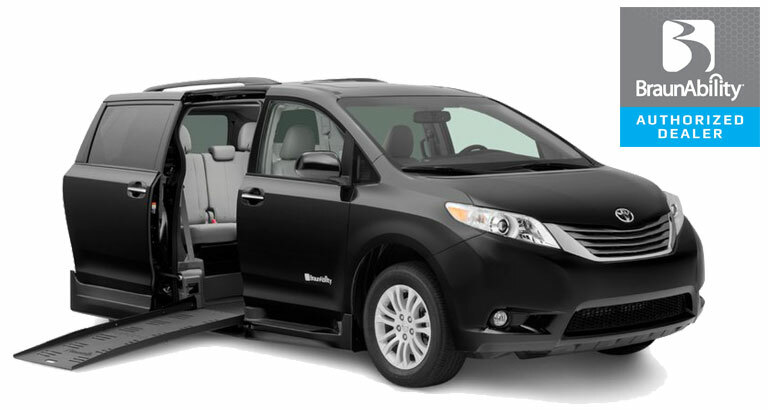 United Access offers Toyota Sienna wheelchair vans for sale. 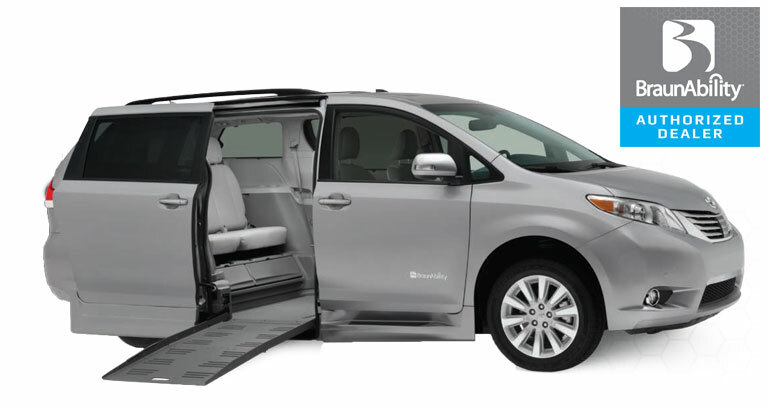 The BraunAbility Toyota Sienna wheelchair van comes available as a side-entry or rear-entry. Depending on the number of passengers you need to accommodate, a variety of seating options can be installed in your wheelchair van. The Manual Rear-Entry offers a 32” wide ramp for larger wheelchairs and the interior space for two wheelchair passengers. The Manual Rear-Entry comes on the Toyota Sienna wheelchair van LE, SE, XLE and Limited models. BraunAbility Toyota Power Rear-Entry combines the power and comfort with the ease-of-use of a rear-entry. 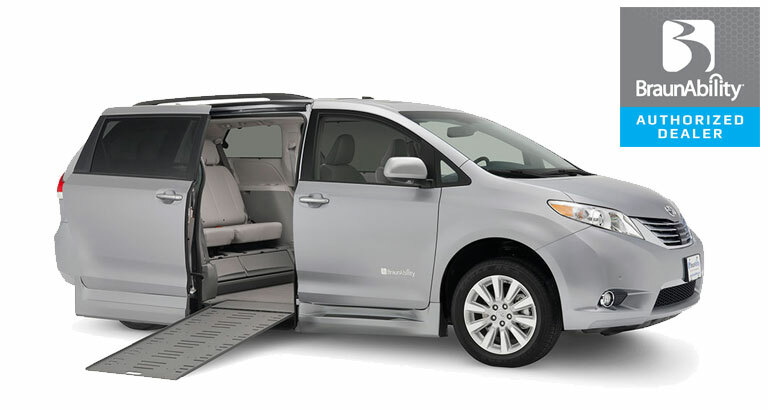 With the option for wheelchair passengers to ride in the second rows, this Toyota Sienna wheelchair van conversion comes in the LE, SE, XLE and Limited models. 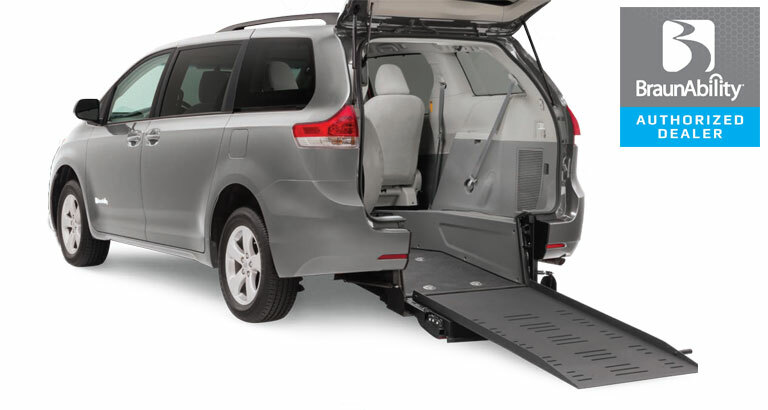 The BraunAbility Toyota Manual XT features a lightweight side-entry ramp can be conveniently folded out for easy access. Third row roll-and-tumble seats fold forward to offer additional cargo space and is available on the Toyota Sienna wheelchair van LE, SE, XLE and Limited models. Designed with an additional six inches of cabin length for just-right maneuverability, the Power XL doesn’t sacrifice ride quality or vehicle handling. The Toyota XL Power Foldout delivers uncompromised safety and handling on the Toyota Sienna wheelchair van LE, SE, XLE and Limited models. The BraunAbility Toyota XL Power Infloor combines thoughtful design with rigorous engineering to provides the perfect fit, width, rigidity, and length. With six more inches of cabin length, this infloor option is available on the Toyota Sienna wheelchair van LE, SE, XLE and Limited models. Vantage Mobility International (VMI) is one of the largest manufacturers of wheelchair van conversions. VMI focuses on improving their conversions through being part of the disabled community and through customer feedback. Today, VMI has three Toyota Sienna wheelchair minivan conversions, the Northstar, Northstar E, and the Summit. All three come in four model types: Sienna LE, Sienna SE, Sienna XLE, and Sienna Limited. 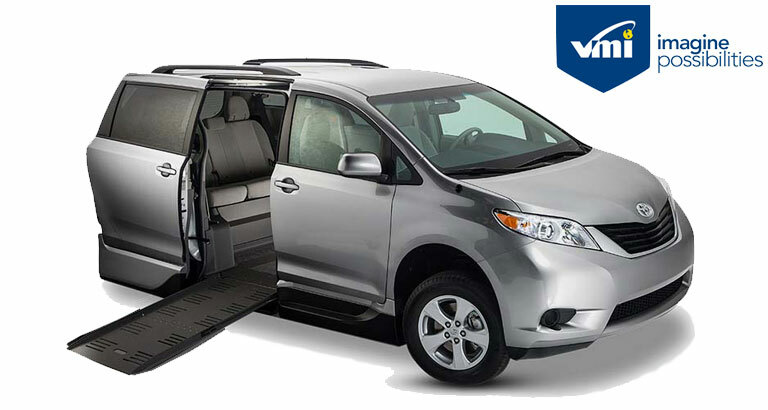 Toyota Sienna wheelchair vans offer both space and style with plenty of headroom for everyone. The Northstar® with Access360® offers an unobstructed entry, exit and interior. It gives greater access to life through more space, flexibility and ease of use. This top-of-the-line wheelchair-accessible minivan in Toyota Sienna LE, SE, XLE and Limited models. VMI Northstar E™ Manual In-Floor Ramp features an easy manual ramp handle which requires no bending or lifting. With roll and click locking seats this functional mobility vehicle comes in the Toyota Sienna wheelchair van LE, SE, XLE and Limited models. The VMI Summit power fold-out ramp system features an anti-rattle mechanism for a quieter ride. 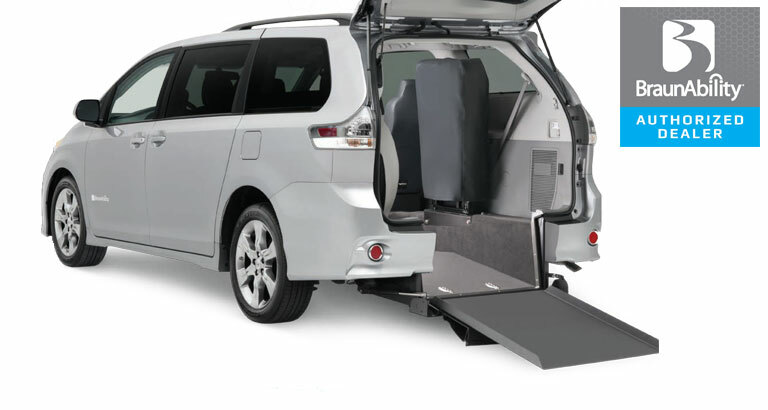 The Summit ramp stows inside the vehicle cabin while allowing easy access to the door. This convenient mobility option is available on the Toyota Sienna wheelchair van LE, SE, XLE and Limited models.